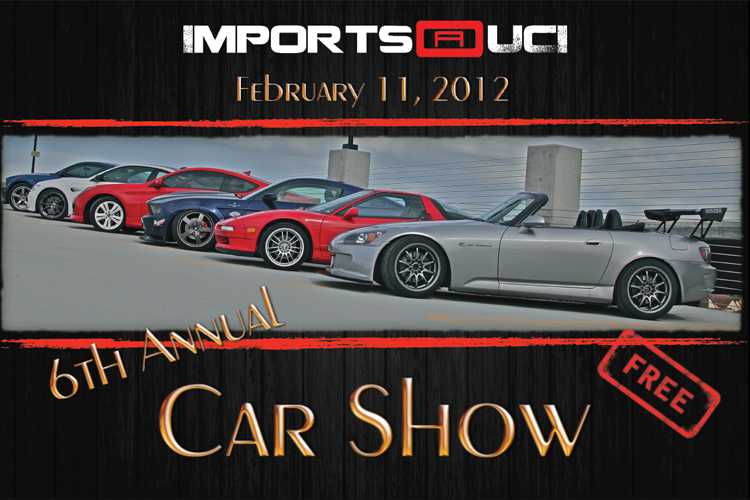 We are going to be in another car show and it is hosted by UC Irvine's fastest club on campus, Imports@UCI. 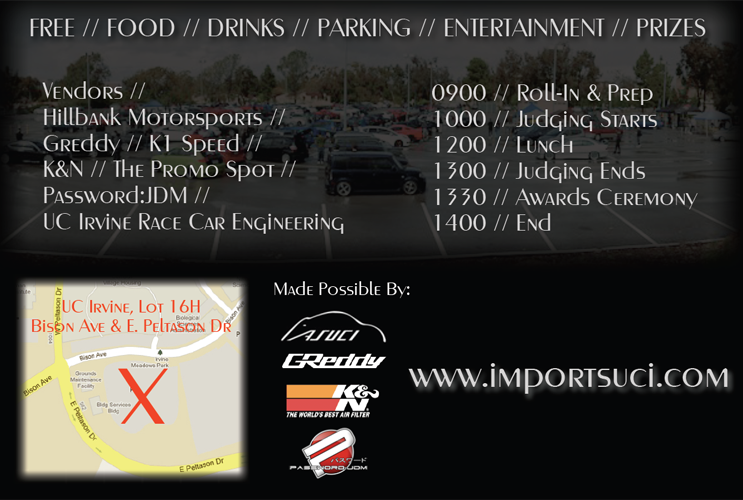 Free admission and parking, prizes, free food and drink, free music and entertainment! It's gonna be a big event! Where: 1245 Bison Ave, Irvine, CA 92612. _UC Irvine Parking Lot 16H. Between East Peltason and Bison Avenue.